Look What You Can See! 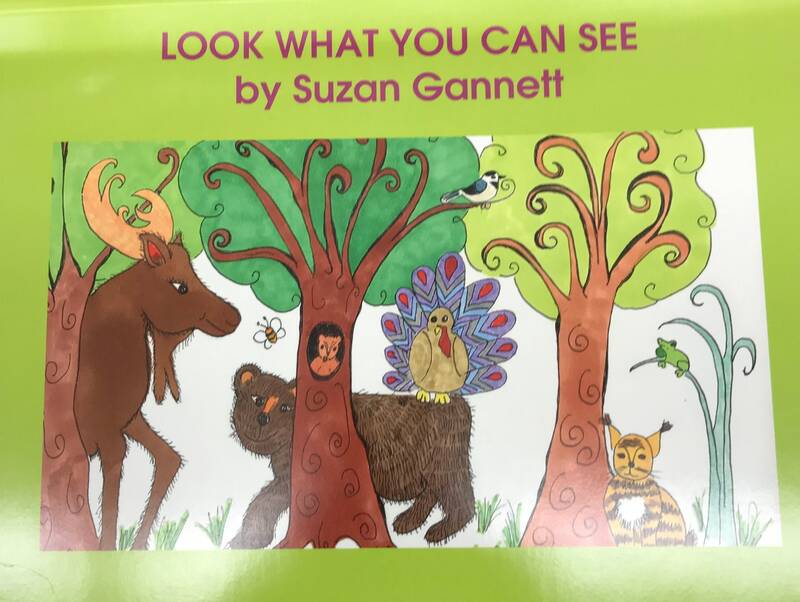 Written and Illustrated by Suzan Gannett Is a collection of poetry and Zen Doodle pictures of animals found in NH. Drawings and Poems include Brown Bear, Honey Bee, Peepers (small frogs), Turkeys, Moose, Bob Cat, And a chickadee. Rhyming is an important skill for children learning to read. This book is appropriate for children ages 2-6. The cost is $20.